We are delighted that Jane Dunckley, Head of PE at St Andrew's Secondary School, is running the Marathon for us this year. Jane says "Running the London Marathon has been a lifelong goal of mine and I am delighted to run it for such an amazing cause. My training has begun and I am very excited about the day itself". We will keep you updated with Jane's training. 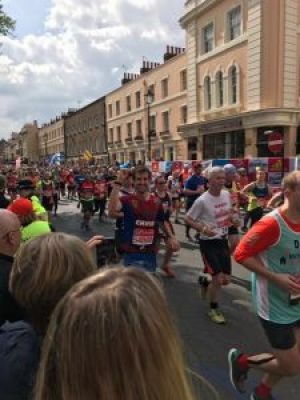 Action in Africa’s 2017 Marathon Man Chris Webb is a Year Group Head & PE teacher at St Andrew’s Secondary School, so he was well equipped to deal with the twenty six mile challenge of the UK’s most iconic race. He has been in touch with the charity and says he 'was chuffed with it all and had an amazing time! Such a brilliant atmosphere and occasion. Was great to run for such a great cause!' It was brilliant to see our Action in Africa logo on his Superhero shoulders. Chris raised an amazing £2,000! Thank you from the bottom of our hearts Chris and thank you to everyone who has donated! Please see below photos of Chris on the day. 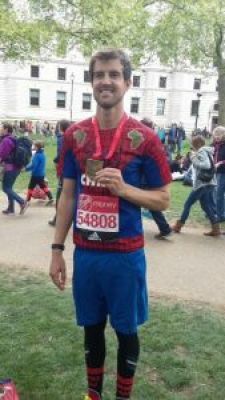 We would like to say a big Thank You to Adam Brooks, Deputy Head teacher at St Andrew's Secondary School, Leatherhead for running the London Marathon April 2015 on behalf of Action in Africa. Our Marathon Man is very modest - it took us a long time to extricate a photograph. 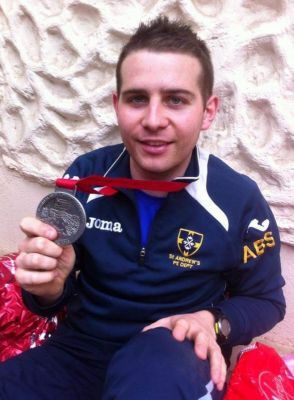 He raised a staggering £3,000! Thank you again Adam!